Indian Magic has bronze-green leaves, crimson flowers, and small solid red persistent fruits which are attractive to blackbirds. 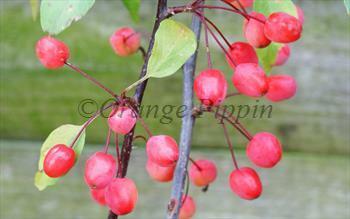 It has an attractive upright-spreading shape and is a good choice as a small specimen tree. 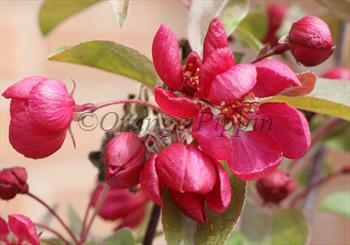 Please fill in the details below and we will let you know when Malus Indian Magic crab apple trees are back in stock. 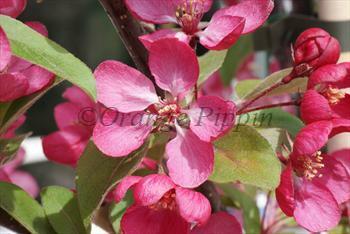 Malus Indian Magic is in flowering group 3. Malus Indian Magic is self-fertile and does not need a pollination partner, although fruiting may be improved if there is a compatible tree of a different variety nearby.